 So what if your kid is totally fond of the bumper cars, but there does not exist any Duplo bumper cars? Well you design and print one yourself! If you like it, and print one yourself, please share a picture. I always find it funny to see things I designed used by others. 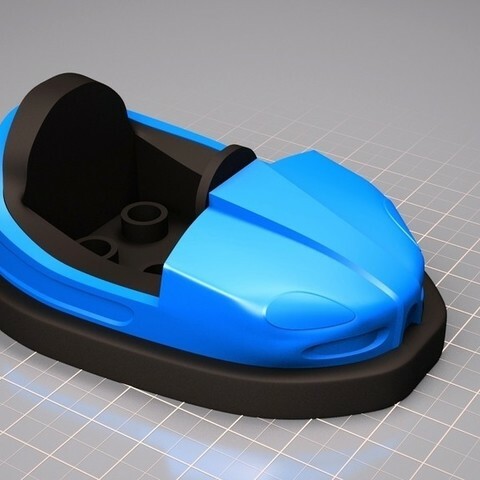 It's a two piece bumper car which fits tight into each other without using glue. This way you can use two colors without using a dual extrusion head. 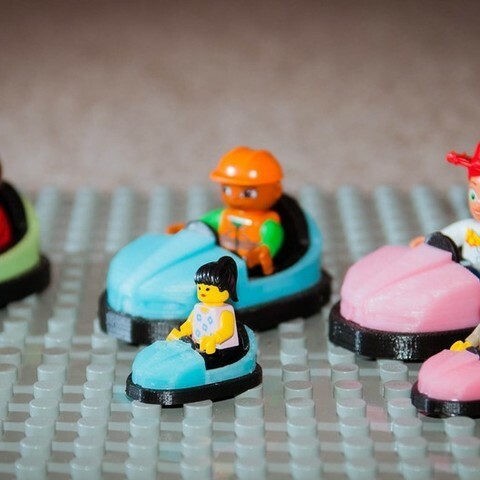 If you print the bumper car exactly half the size, the bumpercar is compatible with Lego. But if you print it smaller, the space between the two parts also become smaller. So maybe a tiny bit scraping with a hobby knife on the inside of the upper part is necessary to fit the two together. I've created a square hole inside the lower part, to mount a little magnet. 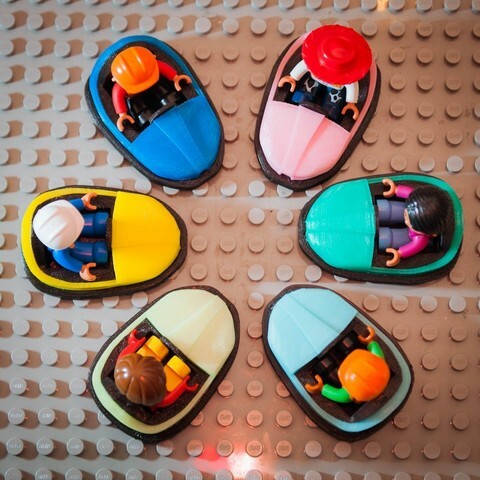 Maybe in the future I build an active plate with moving magnets below it to create automatic moving bumper cars. The printed examples are printed with a Felix 1.5 printer in PLA.